When participating in a design challenge for 'Pillo Games' in a multi-disciplinary team of Industrial Designers, Game Designers and Sound Designers, we came up with an application for the Pillo technology in physiotherapy, that ended up winning the competition. 'Pillo' is a pillow game controller, focussing on playing together no matter how you differ in precision and strength. Using mini games we allowed people in physiotherapy to move unconsciously with a fun goal to aim at, which resulted in effective training sessions. After winning the competition we got the opportunity to work out the game. 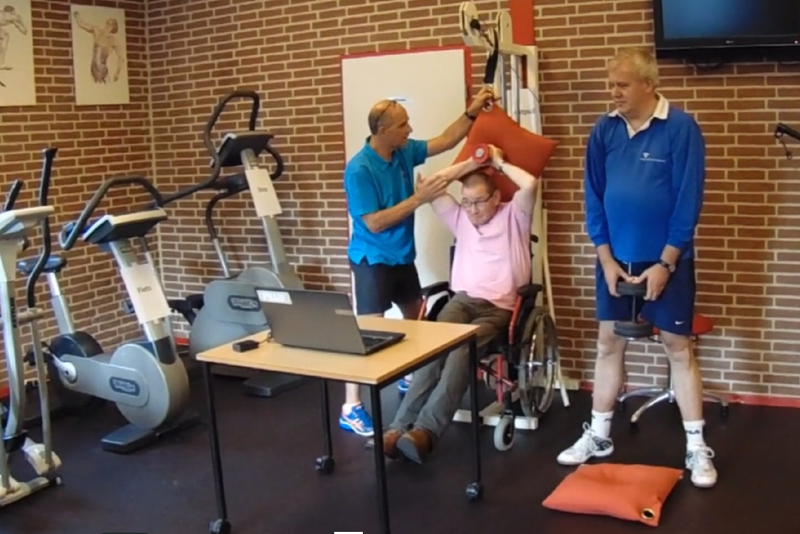 Currently, the game is on the market and being used in several physiotherapy facilities!